In their first game since losing star running back Maurice Jones-Drew, the Jaguars fell to the Packers, 24-15. Allen had a strong outing with seven total tackles and a pass deflection, but it wasn’t enough to take down the Packers, who won their third straight game. Applewhite was inactive in Week 8 after injuring his leg the week prior. The Panthers suffered a tough loss, 23-22, after a last-second field goal by the Bears. Applewhite’s status for next week is uncertain. 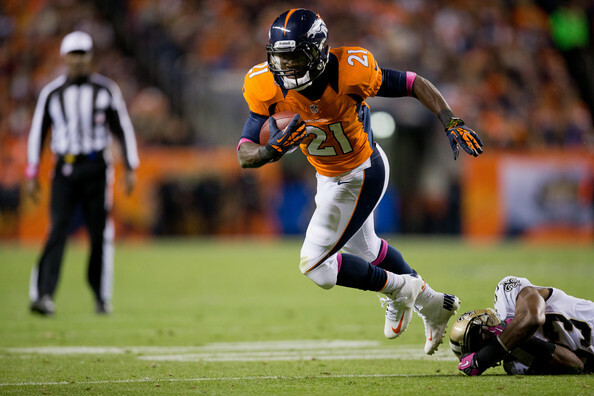 In the Sunday night game, the Broncos dominated the Saints, 34-14. Brewer snapped the ball well on punts and field goals, and even recorded his first tackle of the season while covering a punt. In a low-scoring defensive battle, the Chargers lost to the Browns, 7-6. Brown remains out with an ankle injury suffered in the preseason, and his recovery has taken longer than expected. According to an article by CBS Sports, Brown is likely to sit out another month. In an AFC West matchup, the Raiders defeated the Chiefs on Sunday, 26-16. Burris had another solid outing, as he recorded seven tackles, good for second-most on the team. Dombrowski remains out with a foot injury, and his return this season is unlikely. It was recently reported by CBS Sports that he is recovering from a cyst on his foot, and his chances of playing this season are slim. The Seahawks were beat by the Lions on Sunday, 28-24. For just the second time this season, Farwell failed to record a tackle in the game. In front of a national audience in the Sunday night NFL game, Hillman had his best game yet as a Bronco. He had 14 carries for 86 yards, averaging 6.1 yards per rush. Hillman showcased his speed and ability to get to the edge even at the professional level, and proved that he can contribute as a rookie. The Cardinals had their hands full on Monday, facing one of the most physical defenses in the league. They were held to just a field goal as quarterback John Skelton struggled to get in a rhythm against the division-rival 49ers, and lost 24-3. Lindley remains the backup, and with Skelton getting pressured and sacked often, it is very possible Lindley will see some action this season. The Bears improved to 6-1 after beating the Panthers on a game-winning field goal, and Louis continued to play well at right guard. The Lions won in dramatic fashion on Sunday, scoring the go-ahead touchdown with 20 seconds left to beat the Seahawks, 28-24. Osgood played well on special teams, recording two tackles in the game. The Jets struggled on Sunday, falling to the Dolphins, 30-9. Schilens had four catches for 29 yards, including a 5-yard touchdown catch in the fourth quarter, the lone touchdown for the Jets. It was his first touchdown of the season, and the eighth of his career. Did you miss the “Aztecs in the NFL: Week 7″ post? Check it out here! Hello all, here every person is sharing these familiarity, so it’s nice to read this webpage, and I used to pay a visit this weblog all the time.